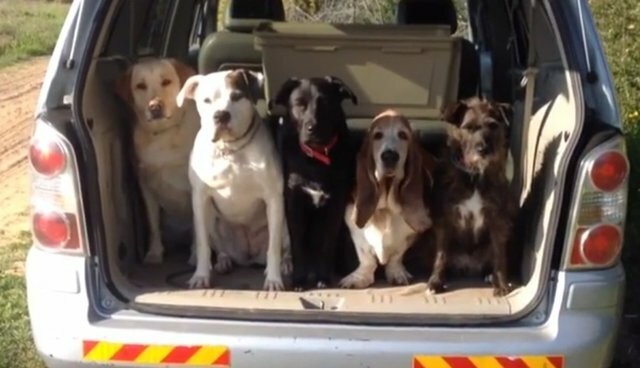 These five very disciplined dogs are about to take a nice long walk together, so chances are they're brimming with excitement. But before the tail-wagging pandemonium can commence, first things first: roll call. Just watch as they each wait to hear their names before eagerly hopping out of this car to kick off their walk -- well, except for Wesley, who takes his sweet time. There's always one in the bunch.